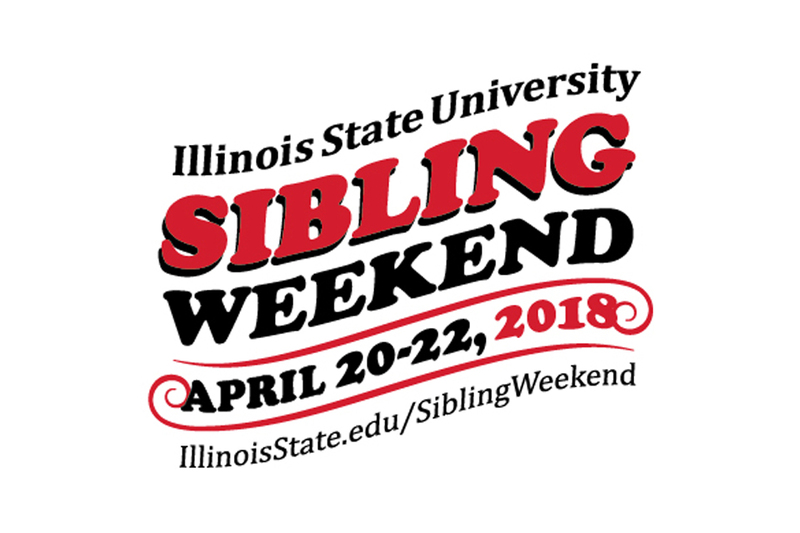 Get your favorite siblings to campus for this year’s Sibling Weekend 2018, April 20-22, presented by Student Alumni Council. This annual tradition has tons of events happening all over campus, from sports to movies to free food. And that’s not to mention Gamma Phi’s big Spring Shows and carnival at Redbird Arena. 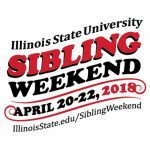 Check out some of the can’t-miss ones below and stay updated on more events through the Sibling Weekend website. Be sure to use #RedbirdFamily as you post and share the memories you create with your siblings and family. The 89th anniversary of Illinois State’s Gamma Phi Circus highlights the weekend’s activities with shows at 7 p.m. Friday, April 20, and Saturday, April 21, and a 1 p.m. Saturday matinee. Regular priced tickets can be purchased through the Redbird Athletics Ticket Office, online, or at the door during show weekend. Before the Saturday matinee, Student Alumni Council invites students and siblings to attend the seventh annual Sibling Carnival. This popular Sibling Weekend tradition is kid-approved and open to everyone that has a youth ticket to the matinee show. The carnival includes a variety of games, face painters, prizes, and fun for kids of all ages. Free laser tag, movie, and pizza…say what? The Bowling and Billiards Center (BBC) will host a Sunday Funday from 1–4 p.m. on April 22. Students with a valid university ID and their guests can pay $2 per person for unlimited bowling, billiards, and table tennis. There will also be free food, giveaways, and the first 25 people to arrive will receive a free T-shirt. All meal plan holders can bring up to two family members to dine for free for one meal in either of the dining centers. Event Management, Dining, and Hospitality will email a reservation form directly to all meal plan holders in late March. Students must submit the form by the deadline indicated to take advantage of this offer. Want to have some fun off campus? Swing by the Children’s Discovery Museum right off the circle in Uptown Normal. The surprising array of exhibits is enough to keep your curious siblings (and even playful parents) busy and happy for hours on end. And Illinois State students get $1 off admission if they show their student ID. There are two chances to root for your Redbirds during Sibling Weekend! The softball team takes on the Drake Bulldogs in a doubleheader on Saturday at noon and Sunday at 11 a.m. Come out to Marian Kneer Stadium with your siblings and friends to cheer our players to victory (for free)!